The Gulf of Mexico has wonderful weather this time of year. 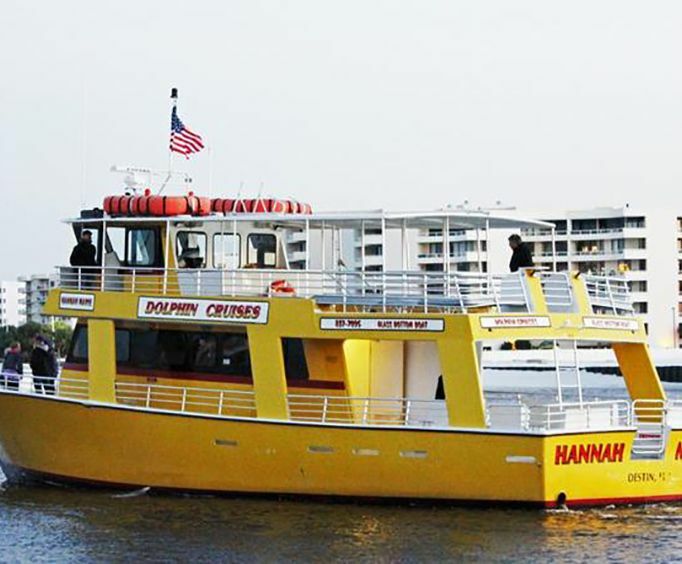 This season you can come aboard the Hannah Marie in Destin Harbor for a 90 minute cruise. You can listen to the the captain guide give you commentary as you sail through East Pass into the harbor. You'll be able to see dolphins swimming by. While you learn about the history of Destin Harbor, you can admire the scenery of the Emerald Coast shoreline. The sea vessel sells soft drinks and light snacks to enjoy on your trip. The trip begins at 10:30 a.m. You can try out the Gulf of Mexico Dolphin Cruise from June 1 until July 31. Five 1.5 hour cruises are run daily. The cruises run in two-hour hour increments from 10:30 am to 6:30 p.m. The trip is perfect for the entire family. The boat easily accomodates people in wheelchairs and medical scooters. Children are to be adult supervised. Destin Harbor was named after Captain Leonard Destin, who started fishing in the waters back in 1835. The London, Conn resident moved to Florida in 1850 and stayed for two years. Spanish explorer, Don Francisco Tampa had surveyed the Florida coast in 1538. By 1693, the first known map to show the shores of East Pass had been drawn. People who have taken the cruise give it a five star rating. One reviewer said that the captain made the boat ride fun for her, and she saw dolphins swimming in pairs. It's fun to see the dolphins up close, and you might see one of their babies. You can also see a shark and some sea turtles. Your cruise begins at Destin Harbor, where you'll hop aboard your sea vessel operated by a captain and crew. Listen to live commentary as you travel through the harbor, East Pass, and into the gulf, spotting dolphins in their native habitat. While you learn about Destin's history and culture, admire views of the scenic shoreline of the Emerald Coast. You can also head to the onboard concession stand to purchase light snacks or beverages, if you wish (own expense). Olin Marler Yellow Booth, Destin. 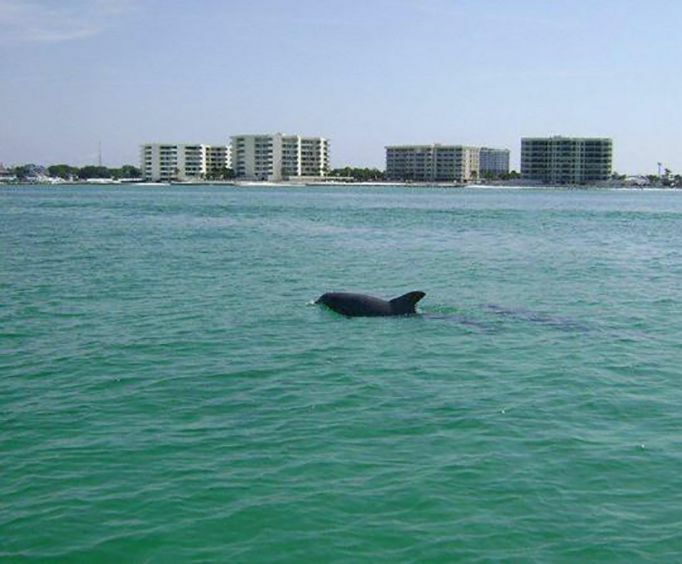 1.5-hour Dolphin Cruise through Destin Harbor departing at 6:30pm.